fantastic performance of macbeth. really lovely theatre. take a rain coat with you if you've got tickets for the area in front of the stage. Delightful theatre and considering the upkeep of such a wonderful place, a unique experience to celebrate the wonderful world of Shakespeare. 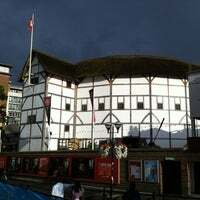 Shakespeare globe theatre from the 1500's. We walked in while they were rehearsing for a new play. Excellent place for a historical visit and the tour was very informative! Have fun while you can. Por su historia y lo que representa, merece una visita. Hay tours guiados pero lo recomendado es conocerlo en una obra: tickets de pie a £5 (adquirirlos con antelación porque se agotan). 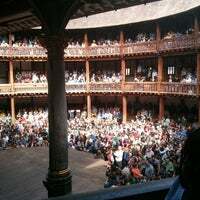 You can usually see the cast of The Globe productions there after 10:30. The lower level is more casual and the upper deck a bit more proper dinner. Lovely food, and a view you can't beat. Museum visit prior guided tour is very well done. I learned a lot about actor and theatre life during Shakespeare time. Guided tour is as well very instructive. It's worth paying for the cushion as well as getting seats on the back row so you can lean against the wall. It's worth the trip. Plan on spending 3 hours at the theater. It was magical for a guy from Texas. I enjoyed Othello and Emilia in the same week. Next trip I'll watch 4 plays in the same 7 day period. Read about the history of the theater before so you can appreciate the full experience. Groundlings (Standing room) seats are £5. Get there at least 45 minutes before to stand against the stage. 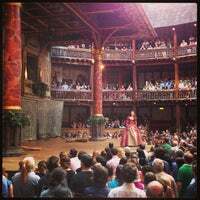 With hundreds of daily grounding tickets for £5 each and a tremendous selection of plays each season, going to see a show at the Globe is a must do for any Londoner. Brilliant night. 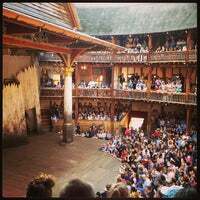 But recommend: Seated tickets (Shakespeare plays are long), £1 cushions (hard wooden benches), a blanket (it gets cold at night) and the pulled pork sandwiches (cash only). 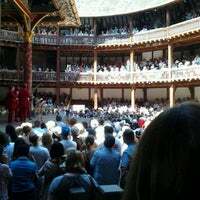 The vision of American actor Sam Wanamaker, this replica of Shakespeare’s legendary theatre opened near the site of the original in 1997. 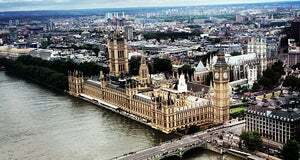 It has the first thatched roof in London since the Great Fire. For dinner after a play (or before outside in the sun), go to Tas Pide just to the right of the box office on New Globe Walk. Excellent Turkish cuisine, open late and not expensive! I've been there for Shakespeare Festival to watch A Midsummer Night's Dream. The atmosphere was extremely amazing. Take your beer and stand at the yard, ticket is only £5. 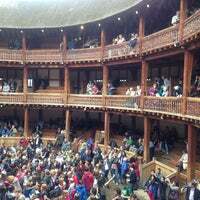 If you're a groundling, go all the way round the building to the back. You'll have more room and be able to grab a bench at the interval if you run out fast. Watching Shakespeare here breathes a whole different life into his texts (in the right hands). Experience the plays as they were meant to be experienced. Seriously cheap standing tickets at £5. Went to see Julius Caesar. We had seats on the upper level and actually they were pretty good! Fortunately they're built steep enough for your view not to be blocked by the person in front. 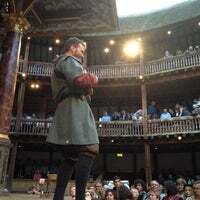 The Globe is authentically Shakespearean, meaning you'll be sitting on an uncomfortable, cramped wooden bench and watching a play with limited props in a building with no roof. Still, it's worth it. Just the best place ever. 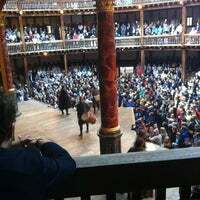 Spend £5 on standing among the groundlings - you get the best view, you get to interact with the actors, and it's the cheapest ticket available. Guided tours of the facility are offered throughout the day in the theatre's winter off-season. From May to September, however, Globe tours are only available in the morning. 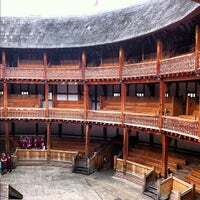 Just an incredible place to spend a fiver on a standing ticket and enjoy some fantastic theatre in the round. Better with sun and cider. 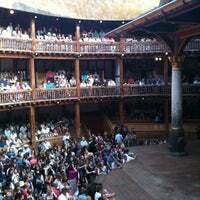 Shakespeare aside, the theatre itself is wonderful with every seat guaranteed to see action at all times. Expensive yes, but certainly worth it. 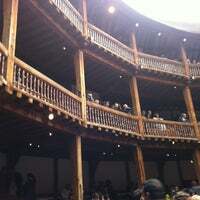 Charming theater - recreation of the original Globe - that is a treat no matter what the show is. But the 5 pound tix for the groundlings area and be sure get there early so you can find a good "leaning" spot. NB no umbrellas allowed. FANTASTIC overall experience! i would honestly recommend it to anyone who loves a good play, Shakespeare, historic feel or just wanna try out something new and unusual. 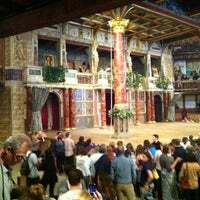 The tour around the theater is awesome, but it talks more about the UK social situation than Shakespeare itself. Still a nice way to learn some history. Wear comfy shoes, take the plunge & be a Groundling! Fantastic view from the yard & only a Fiver a ticket ...what's not to like!! 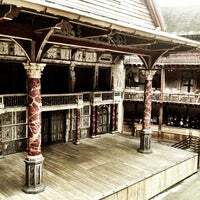 For £5 you can get a groundling ticket and experience Shakespeare the way it was meant to be. It'll be the best fiver you've ever spent. Great to see the "inside" of the Globe both physically and verbally. Unfortunately our tour guide was more interested to present herself than the theatre. 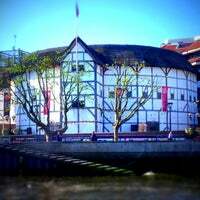 The tour is nice but with tickets as cheap as 5 pounds, it's best to see a play. Don't miss the tour, get Colin as your guide. So many interesting facts, a fun, charming and entertaining afternoon well spent. If planning to queue for same day ticket sales, arrive at least an hour before the play begins. It was such an experience. The yard is fun! Can't believe you can see great shows for just £5!! 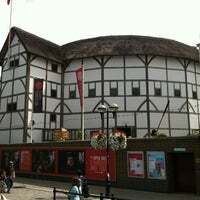 Shakespeare's Globe is a unique international resource dedicated to Shakespeare's work and the playhouse for which he wrote, through performances and education. "Knowledgeable tour guide show the inside of the theatre with interesting stories. The exhibition is also interesting including costume making and old special effects. Great before visiting a play!" "Stunningly beautiful theatre! Saw Blithe Spirit there. Love old classic theatres like this." "The best performances take place here. Huge, modern industrial rooms/theatre. Excellent bar with drinks/beers in the ground floor, with view in southbank. Excellent coffee shop on the side." "Usually really incredible atmospheric Tudor and Jacobean Theatre in an authentic setting. Under Emma Rice, not so much, but she will thankfully soon be gone." "Im Tate Modern kann man prima abhängen und sich berieseln lassen von den ausgestellten Stücken. 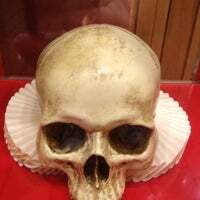 Will man die ganze Ausstellung angucken, muss man schon mehr als 2 Stunden Zeit mitbringen." "Ein sehr großer Food Market mit einer großartigen Auswahl an internationalen Speisen. Da der Markt gut besucht ist, empfiehlt es sich mit kleinem oder gar keinem Gepäck dorthin zu gehen." "Unexpectedly great atmosphere for a drink pitstop on Saturday afternoon with guitar jazz duo playing. Good house White wine too"